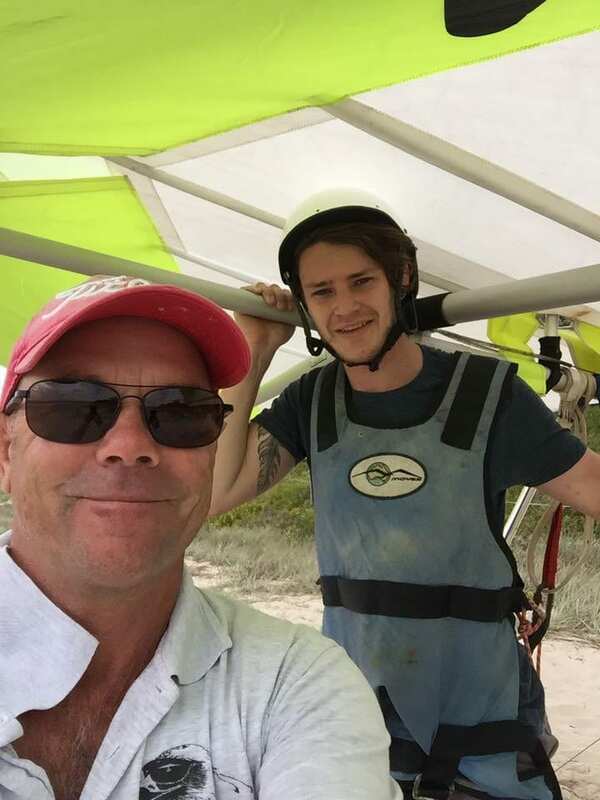 Learn to fly with Peter and Byron/Lennox Hang Gliding School. Byron/Lennox hang gliding is committed to providing professional hang gliding instruction. Learning to fly is quite easy with the major advancement in glider design and improved training techniques. The novice rating course takes around 7 days. Broken down into segments and tailored at your pace. 4 to 10 tandem flights. 3 to 6 training sessions at 3 to 4 hour durations. The Tandem instructional flights are at both Cape Byron and at Lennox Head. The solo training is conducted on our exclusive training hill on our farm located 5 minutes drive from Byron Bay. The training hill is approximately 80 feet high a slope of 35 degrees???? and is absolutely perfect for advancing towards your first soaring flights at Cape Byron. We also use the sand dunes for the early stages of teaching and for tethering in stronger winds. Most students are confident to fly solo from Cape Byron with approximately 20 hours of instruction approximately 3 to 4 days! Once flying solo under radio supervision you will progress leaps and bounds and be completely taken by the flying bug!